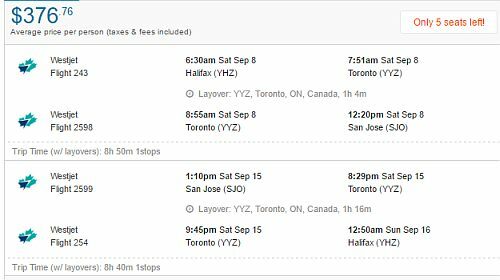 WestJet has dropped the price of a few of their September and October flights from Halifax to San Jose, Costa Rica down to $378 CAD roundtrip including taxes. The flights have one stop each way, in Toronto, for just over an hour. 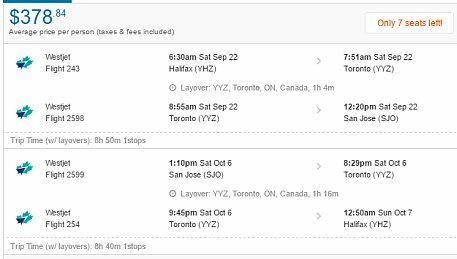 Fast flights for a really great price (very rare from Halifax) - but unfortunately they are in the rainy season. Sep 8 to Sep 15, 22, 29 -- new! Sep 22 to Sep 29 -- new! 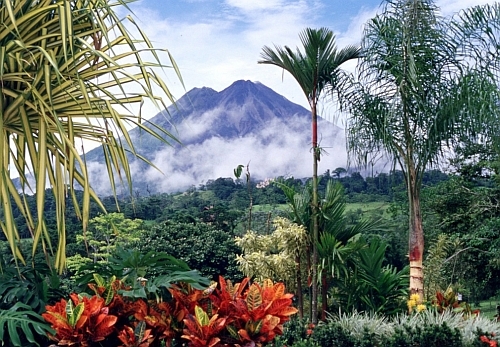 halifax, yhz, flight deals, westjet, central america, costa rica, san jose and sjo.